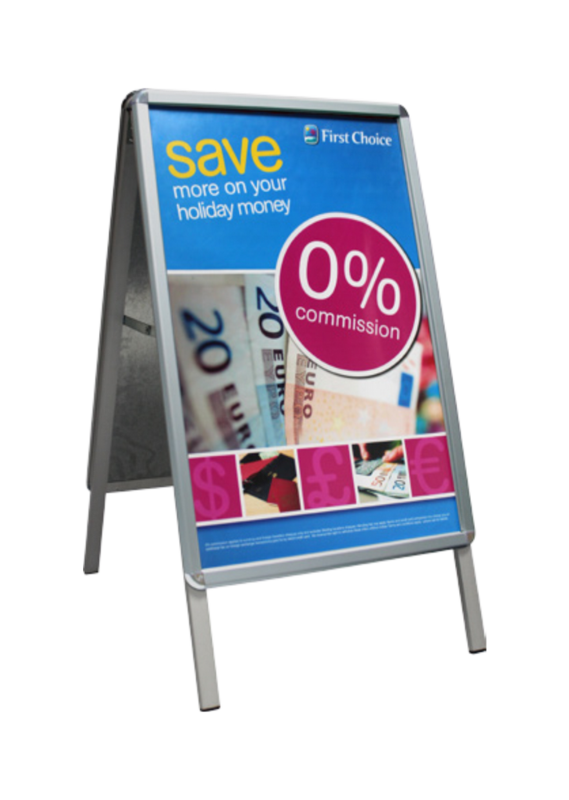 Attractive poster display A-board with semi-circular header. 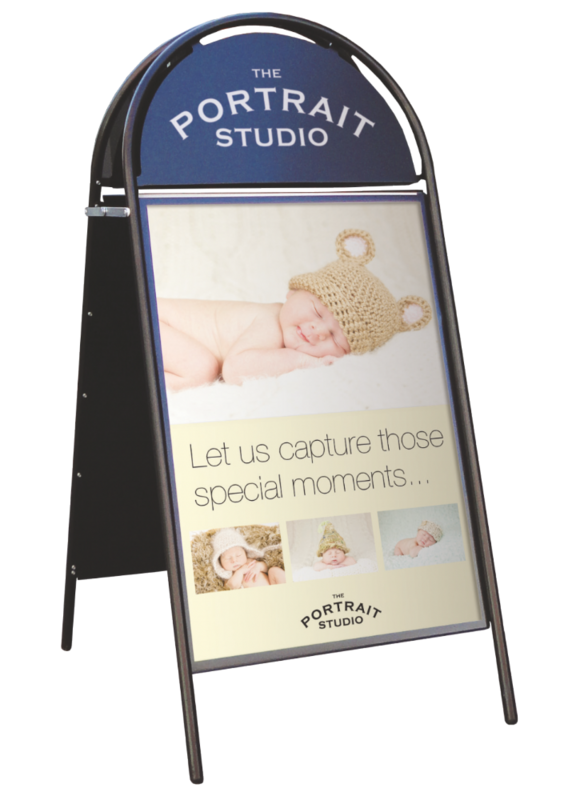 Snapframe poster display A-board (Silver Frame). 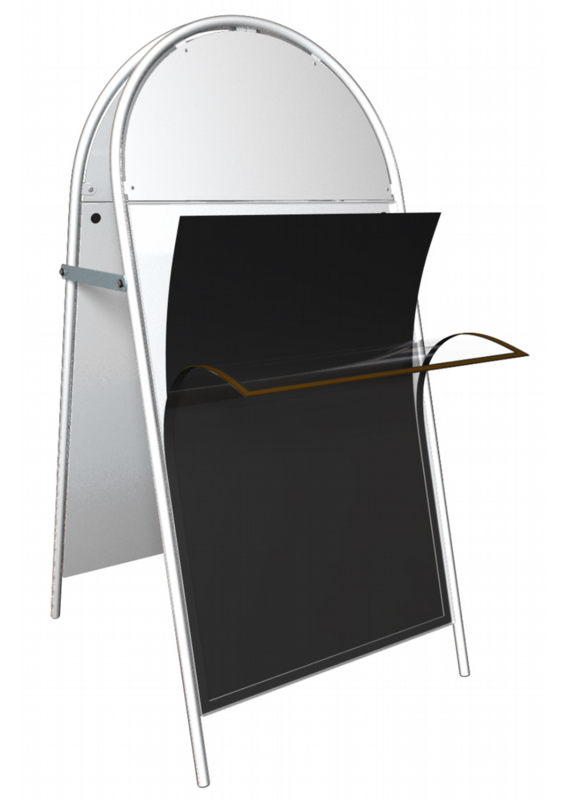 Snapframe poster display A-board (Black Frame). 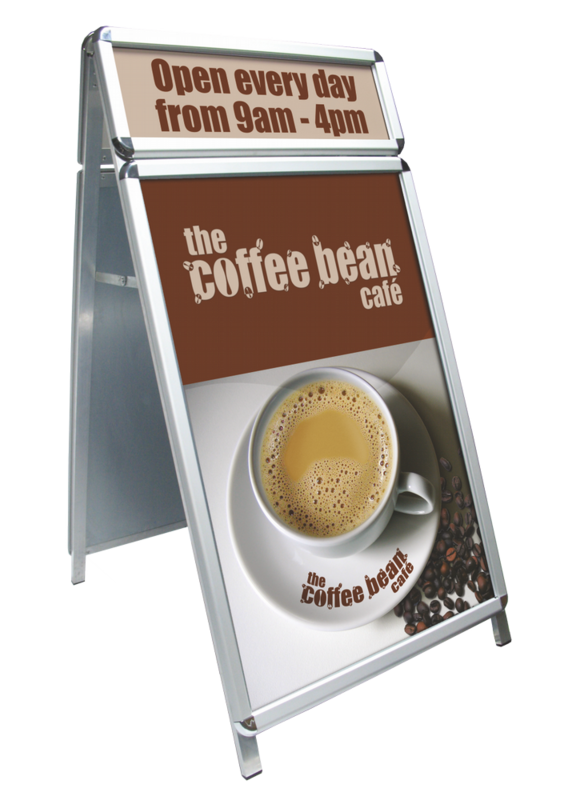 A1 poster display A-board with an additional snapframe header (Silver frame). 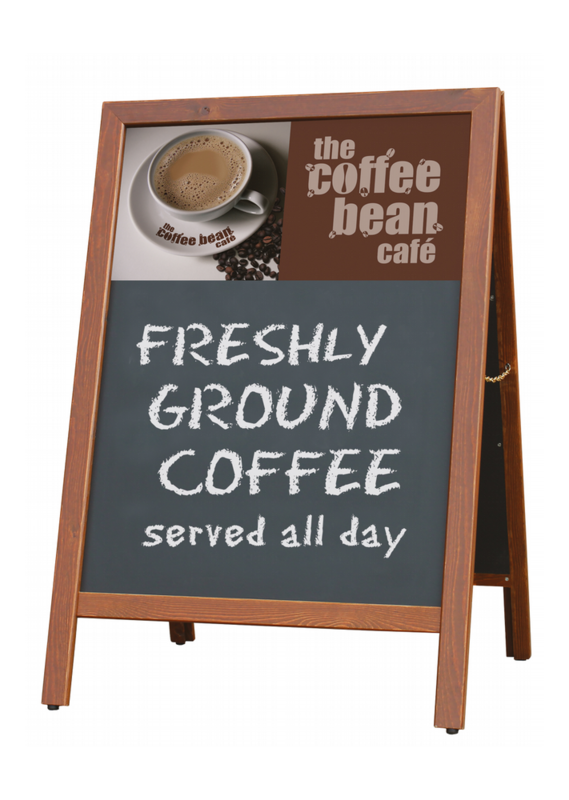 A simple, cost effective and stylish chalk A-board with a traditional wood frame. 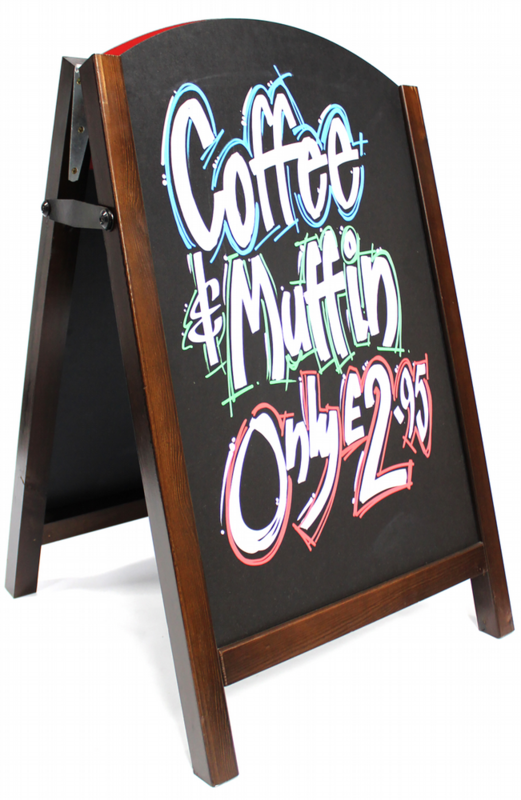 Premier Chalk A-board with reversible HPL panels and a dark oak frame. 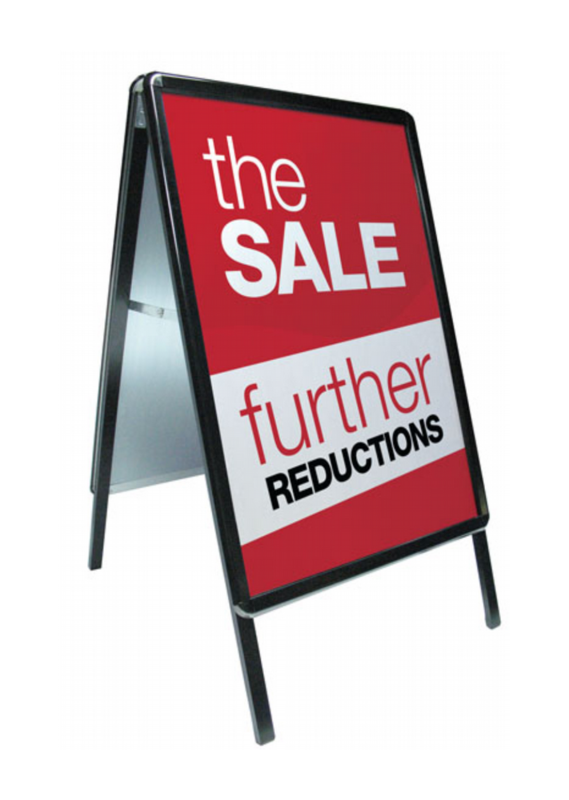 Turn any poster display a-board into a chalkboard display, with these plain black chalk insert panels. 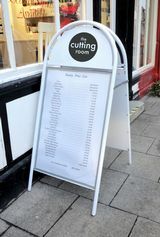 a-board to display your latest special offers/ promotions or to inform potential customers of the products and services your business may offer/ sell. poster/ chalk inserts, or permanent vinyl graphics.